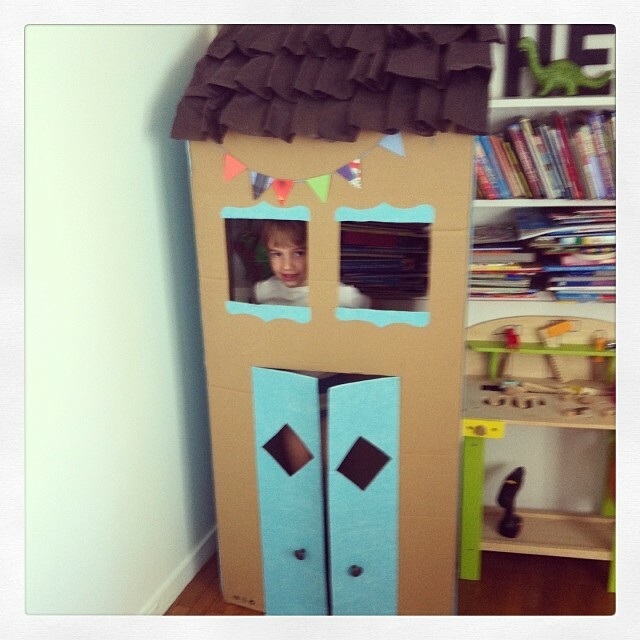 La Maison de Theo! Voilá! 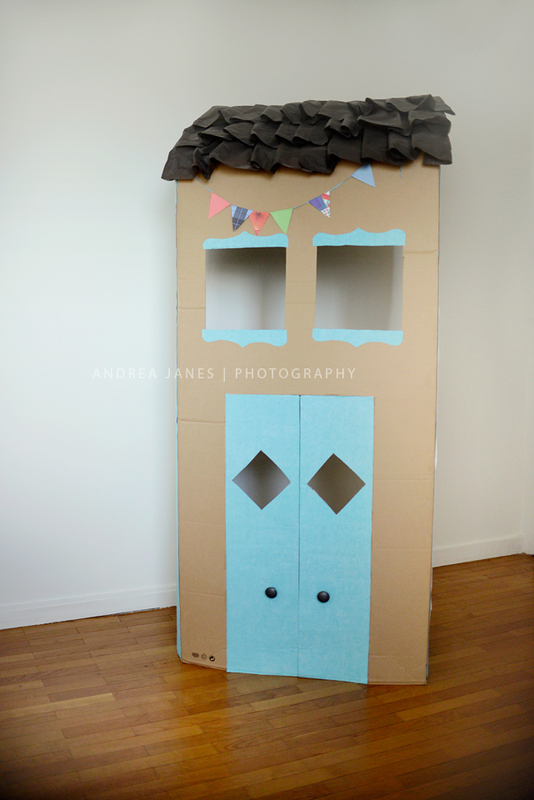 So I had a big cardboard from Ikea, blue wallpaper that I used as a prop in my studio, glue, tape, a pair of scissors and more colorful paper!